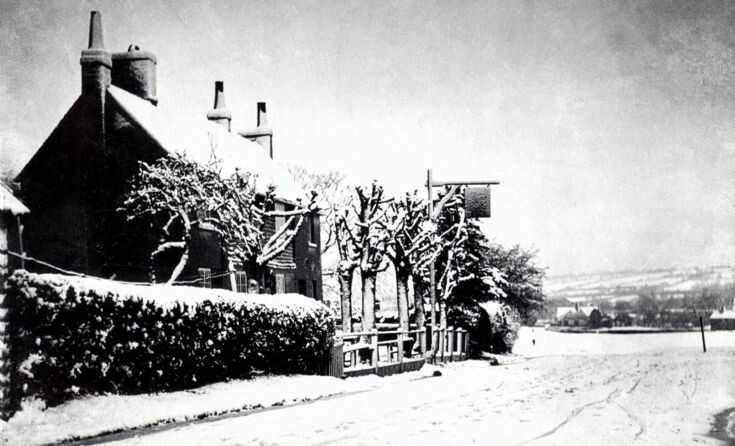 The Jolly Tanners at Staplefield looks very picturesque in the snow, but does little to help trade. In a map of 1874 it is noted that, except for Staplefield Place, there were just three residences close by; the next nearest being in Tanyard Lane. No provision has been deemed necessary to provide off-road parking, and the present-day car park is effectively fenced off.